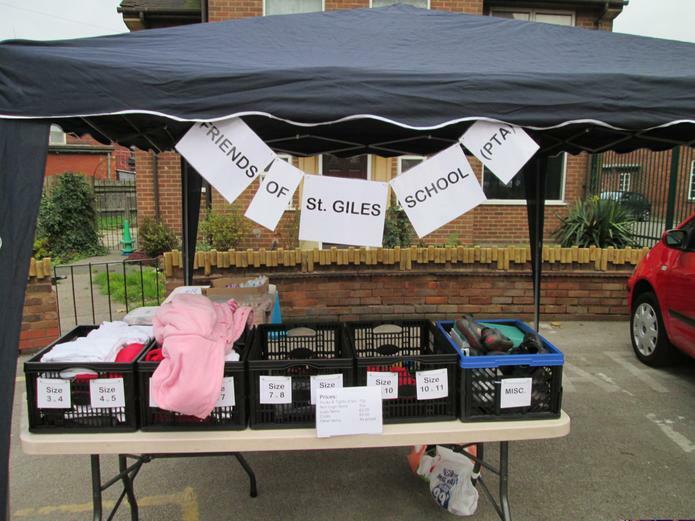 Why not donate them to the Friends of St Giles School (PTA) for a second hand uniform stall? This stall will be by the green gates on the first Tuesday of every month from 3pm until 4pm and will also be selling cakes and other items. All proceeds will go to help fund the various projects that the PTA helps with, for example the school discos, the House Points Board, and helping fund school trips for those that cannot raise the full amount.